A player passes the ball to the right and moves to the left. 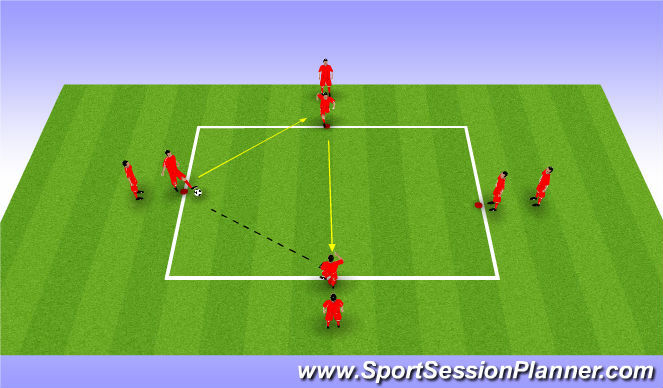 Player standing opposite quickly sprints and applies pressure on the player who is receiving tha ball. Player receiving the ball takes the touch away from pressure and pass the ball to the right and moves to the left . Once the has applied pressure he joins the sameline behind. The coach calls out random numbers. 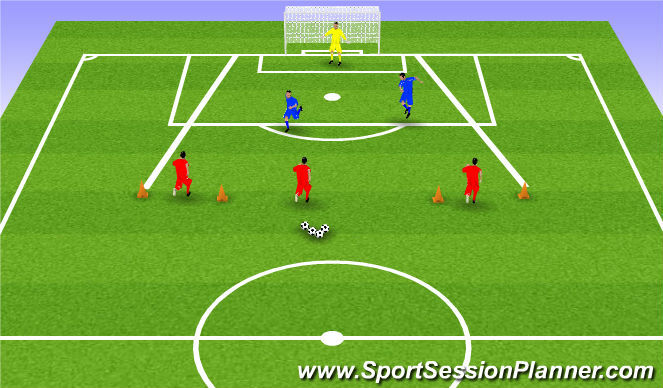 One defender takes the lead and communicates with the team to push high, press, cover, delay, shape etc. Other defenders to react and organise according to the call. The goalkeeper passes the ball to the attackers to start the play. As soon as the attackers touch the ball the play gets live. 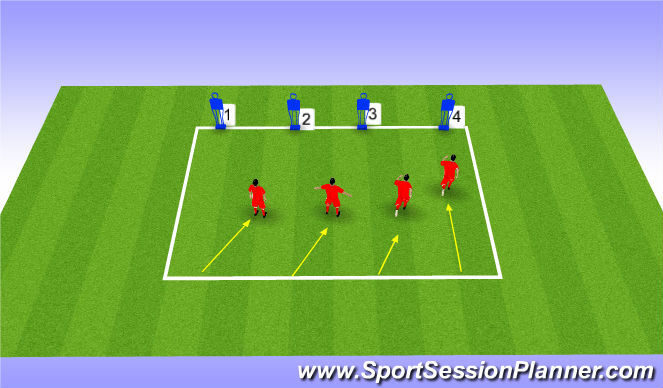 Start of with 3v2 scenario where the 2 defenders play against 3 attackers and defends the goal. 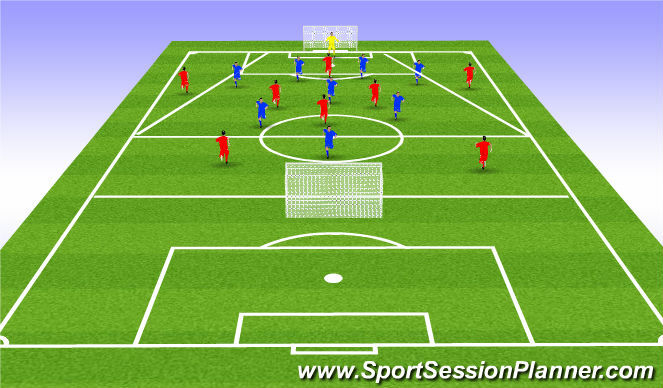 The defenders need to stay compact while defending and communcate and coordinate well. If the win the ball they can score on either gates. Focus on Delay, Cover, Balance.